If you find the information on this site helpful and you'd like to help support German Shepherd Lore, please take a look at the many ways you can ensure that up to date information on German Shepherds is available on this site. I have a great affinity for the German Shepherd dog, and its growing popularity shows that helpful information is needed now more than ever. If you want to support me in this worthwhile cause, please help support this site. Donate! Use the PayPal button below to make a secure contribution. It can be made via Debit, Credit Card or online transfer, and there is no set amount. To make a fast, secure donation via PayPal, please click the Donate button below. You will be taken to PayPal's website where you can enter the amount you wish to contribute. Tell your friends! 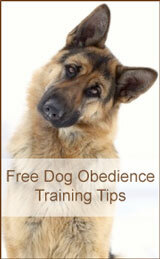 Know someone looking for good information on the German Shepherd? Send them an email to tell them about it. Post in forums! Do you visit forums or groups? Tell members about German Shepherd Lore on your favorite bulleting boards and groups. Link to us in your blog or website. Do you have a blog or website? A link to German Shepherd Lore would be greatly appreciated. Shop with some of our partners. You can also support this site by purchasing any of the products featured, such as German Shepherd Dog Training Secrets.